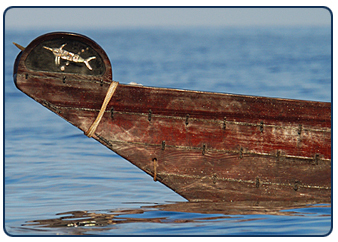 We will be visiting about the Chumash returning with the Tomol to Salish Country. Very excited to have this visit with Brother Ray!! Ray Ward is a captain of the ‘Elye’wun and the Chair of the Chumash Maritime Association. Ray, and other members of the Chumash community, created a beautifully tiled artwork at the village of Syuxtun (West Beach) in Santa Barbara. The Syuxtun Story Circle won the Santa Barbara Beautiful Award for Public Art in 2010. Ray is currently heading the building of the BCC’s community tomol. Our newest tomol is nearly built and is expected to do her first voyage this Spring 2012. This entry was posted in Make No Bones Shows and tagged A Visit with Ray Ward of the Chumash Nation, Chumash, Connecting with Spirit, First Peoples, Honoring, Indigenous, KAOS 89.3 FM, Paddle to Squaxin Island, Santa Barbara, The Canoe Way, Tomol. Bookmark the permalink.